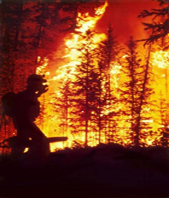 The goal of this year's Wildland Firefighters Oil and Gas Safety Summit is to bring the wildland fire service together in order to ensure the safety of the public, industry workers and firefighters when wildfires impact the oil and gas fields. The focus will be on sharing information in a "train the trainer" setting. This year's session is primarily aimed at firefighters. Separate sessions for industry workers will be held on an individual basis throughout fire season. Complete the Wildland Firefighters Oil and Gas Safety Summit Registration Form by March 25, 2010 to secure your spot. 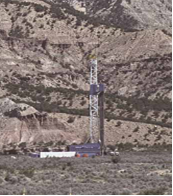 For more information, contact Doug Paul at (970) 244-3106 or via email at douglas_paul@blm.gov. The 2010 Safety Summit is sponsored by: Rifle Fire Protection District, Garfield County, White River Electric Association, Colorado Mountain College, Williams Production, Upper Colorado River Interagency Fire Management Unit.